Event Calendar — A Bay Area based small business social club for creatives. Come join us for a Wellness Workshop that is geared towards our event industry peeps. We will be focusing on managing your time for YOU and YOUR BODY! We will be sharing info on quick and easy snacks that you can bring along to that long event. Please stop by for some healthy appetizers and we will pass along a ton of knowledge that you can take home and apply to your daily grind. Reserved for a private shoot. 4/22 is reserved for a private photoshoot. We are hosting our very first rsvp-only OPEN HOUSE with Pop-Up headshots by @induhuynh on April 8th from 1-4pm at our studio! Come check out the studio, get a free portrait taken and meet some new and familiar faces! To RSVP, please click on THIS LINK. 3/4 is reserved for a private photoshoot. We are thrilled to be hosting Joyce, from Write Pretty Things! In this three hour workshop, you'll learn the basics of brush marker calligraphy - including the basic strokes, proper pen grip and the best tools to use. You'll learn how to properly form each lowercase letter, review a traditional uppercase alphabet and be on your way to creating beautiful brush calligraphy works of art! All supplies are included and no prior experience (or nice handwriting) needed. Come join us and learn how essential oils can be beneficial for your physical and emotional wellness and how they can also easily replace your medicine cabinet and toxic products. We'll talk about the different ways they can be used, how to use them safely and how you can incorporate them into your everyday life. During the second half, we will make a couple products for you to take home for yourself or to gift to someone just in time for Valentine's Day! Limited space (adults only), $5 due upon arrival to help cover supplies. Join The Floral Maker for a hands-on workshop where she will show you how to create a holiday-inspired mini floral arrangement. No experience necessary! All materials and supplies will be provided along with light snacks and refreshments. In addition, we'll have a gift bazaar that includes an assortment of goodies from local makers! Gifts ranging from greeting cards, stationaries, bath products, coasters, mugs, candles and more for you to purchase as an add-on to create a lovely holiday gift box to take home! Gifts are all add-ons that you can purchase at the workshop and prices range from $11 - $54. Location: Kinfolk Inspired Space 2090 Warm Springs Ct. Suite #280. Fremont CA 94539. This class is suitable for age 18 and older. *Once purchased, seats are non refundable but transferable to another person. You will be responsible for finding a replacement for your spot. We are so thrilled to host Wendy, The Tax Muse for a "fun" tax talk! I know, how can tax be fun? It isn't. Sorry! But having the proper knowledge and knowing where to seek support and have your questions answered can make "tax" a lot less daunting, and hopefully easier to manage! You're invited to our small-biz accounting and tax talk where Wendy will share all the tax & accounting essentials you need to run your business and take it to the next level. She will also be giving you tips and tools to make things like bookkeeping and the upcoming tax season a lot less painful. 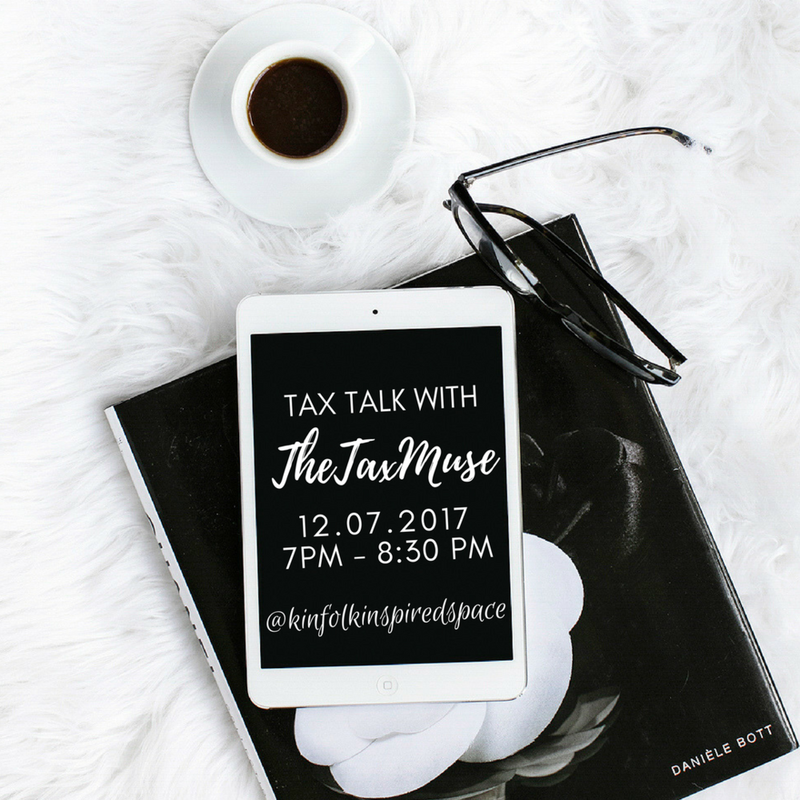 Join us and other awesome people just like you for a relaxed, and informative night where you get a chance to share your struggles (accounting or not! ), get some free tax and accounting advice, and enjoy some light snacks and festive drinks! RSVP is required. This is a free event but seating is limited, so please fill out the sign-up sheet to reserve your spot! Offering Level 1A and Level 1B classes. Regular rate is $697 for 1 day, $1150 for both days. Last day to purchase is 10/23.